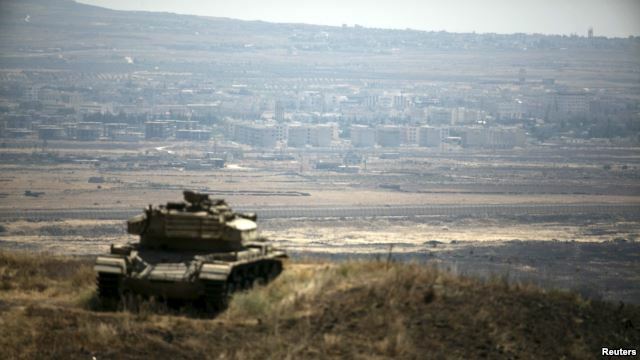 Israeli airstrikes on the Syrian-controlled portion of the Golan Heights have killed at least five unarmed civilians, according to Syrian state media, in what Israel says was retaliation for rocket fire into its territory. Israel says those killed were Palestinian militants from the Islamic Jihad militant group. The drone strike targeted a car near a market in Quneitra province's al-Kom village early Friday. The Syrian Observatory for Human Rights, a Britain-based group that monitors the Syrian war, confirmed the attack, also saying that five people, including two pro-Damascus fighters, were killed. Israeli military officials say the strike was targeted at those responsible for firing rockets into Israel's Galilee region Thursday. 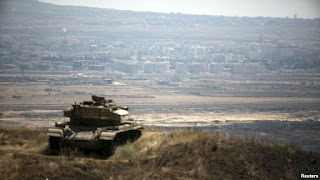 Israel also carried out over a dozen airstrikes against Syrian army positions near the Golan Heights late Thursday in response to the rocket attacks. Syrian officials say at least one person was killed in those bombardments. No one was reported wounded by the rockets that landed in Israel. Prime Minister Benjamin Netanyahu said Friday that Israel will respond firmly to "anyone who tries to harm us." "The IDF killed the forces responsible for the rocket attacks and the Syrians who allowed it to happen," Netanyahu said. "We have no intention to escalate the situation, but our policy remains the same." Violence has occasionally erupted along the volatile Israeli-Syrian front since Syria's civil war broke out in 2011. Many of the Israeli strikes in the area have targeted members of the Lebanese militant group Hezbollah, which supports Syrian President Bashar al-Assad.